Sprinter RB Only 19’4″ long. Seat 7, Sleep 4. Look at how much you can get into an RB Sprinter with some careful planning. It’s compact but it works. 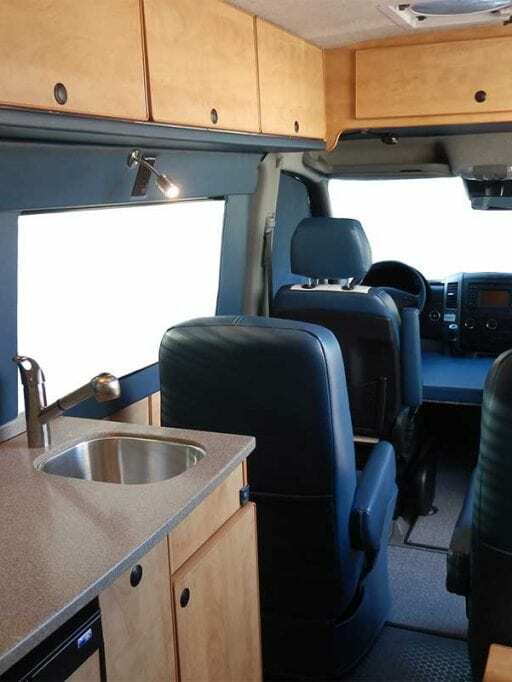 Gaucho can convert into a double bed However you will not be able to open the toilet door in this conversion. This bunk measures 72″ X 30″. The mattress is removable for use as a ground cushion. 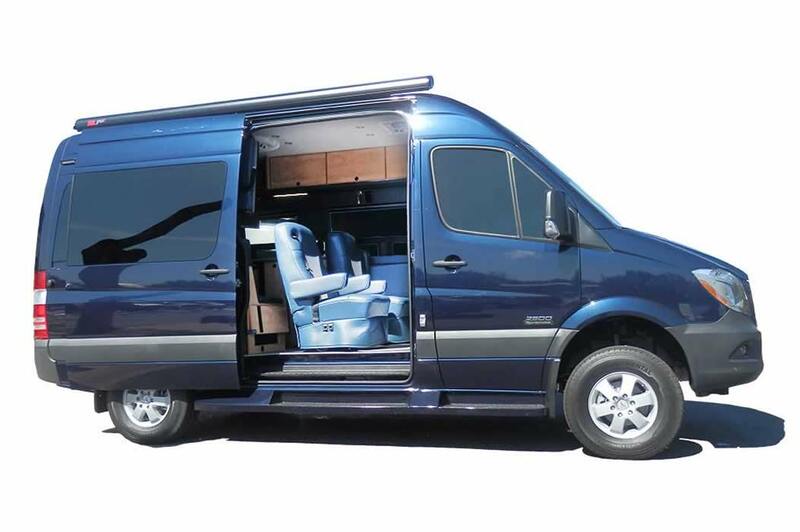 The Sprinter’s cab is spacious, comfortable and attractively designed. Cab seats have multiple adjustments.